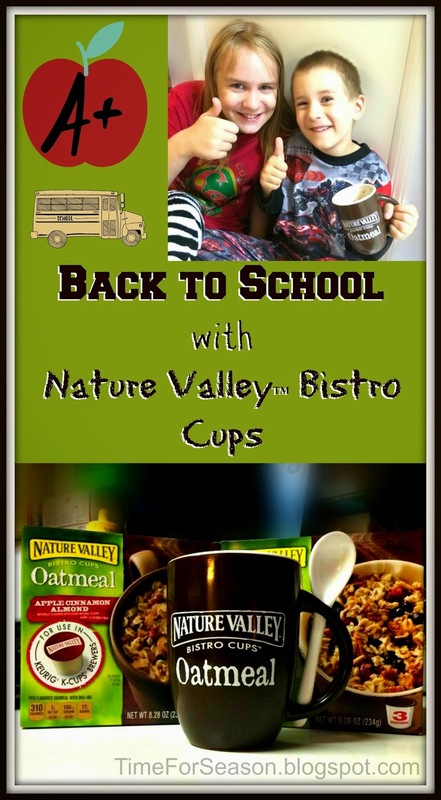 Back to School with Nature Valley™ Bistro Cups – the new premium oatmeal that you make in your Keurig®*! Then brew!! It's that easy!! 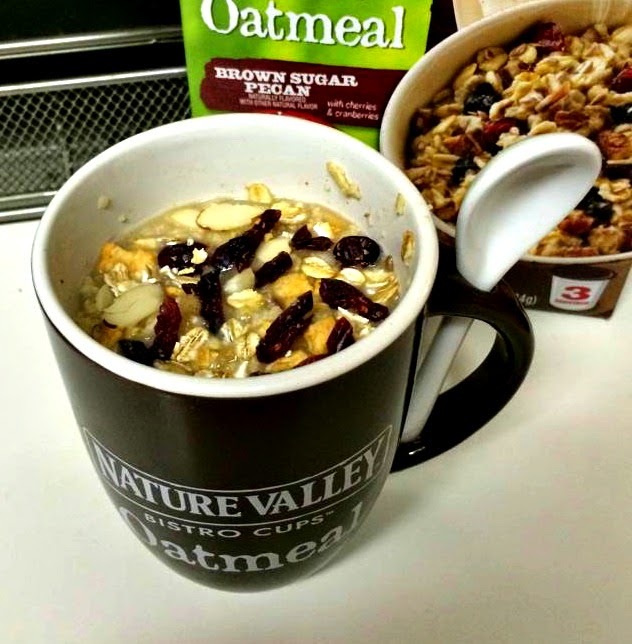 After it sits for just a moment, you have a yummy oatmeal that so easy to take with you or enjoy slowly as the sun rises. 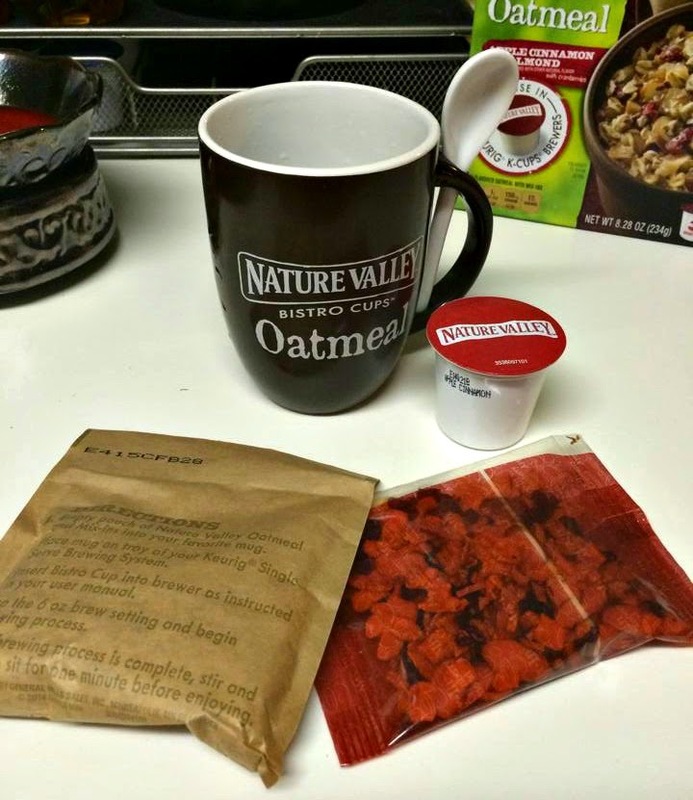 Rosey Posey will brew her oatmeal while she's finishing getting ready. I like that she doesn't have to boil water on the stove, or spend time measuring ingredients. Bubee enjoys getting to make it himself. And he LOVES the taste! 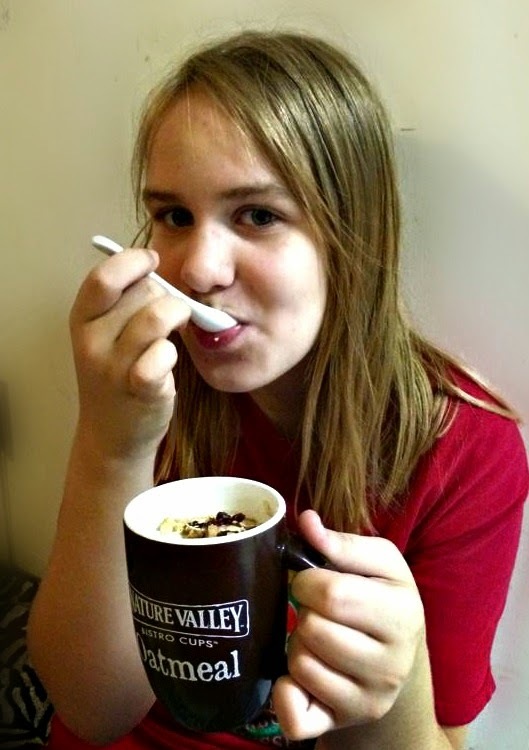 Personaly I love the nutrition my kids are getting since it's sweet thanks to the fruit and not a bunch of frosting like some of their favorite cold cereals. I also love the aromas it fill the house with! 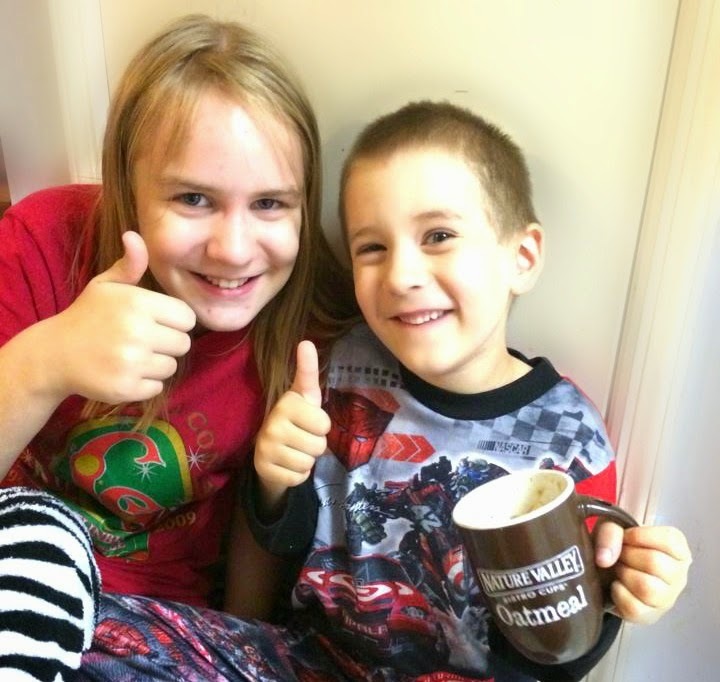 Our family gives this 'two thumbs up' as a great way to start the school day!! Which Flavor would you try first? Apple Cinnamon Almond or Brown Sugar Pecan?? 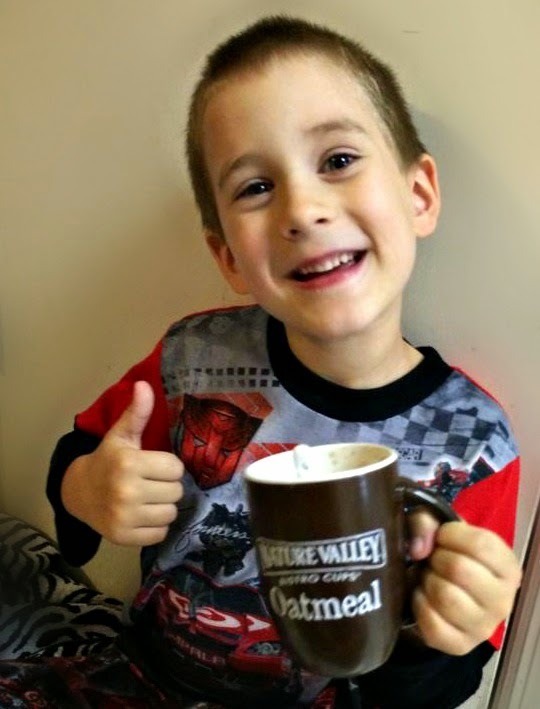 Available in two delicious flavors – Apple Cinnamon Almond or Brown Sugar Pecan -- Nature Valley Bistro Cups are not only a smarter breakfast option for you and your family, but also easy to prepare! 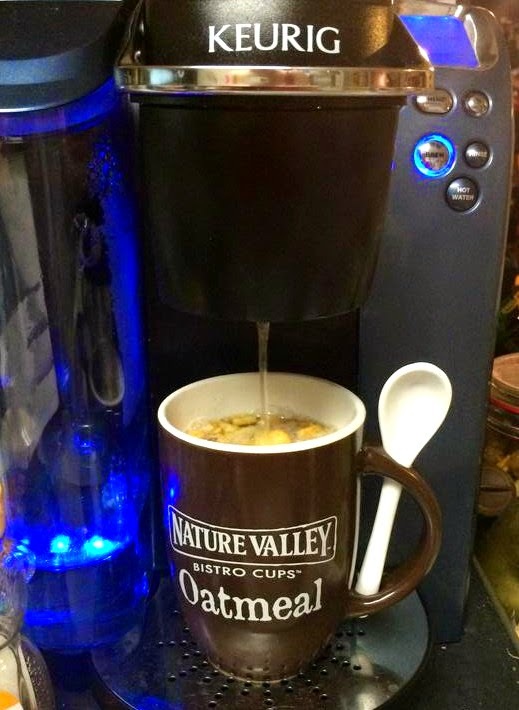 Simply pop the Bistro Cup into your Keurig, pour the 100% Natural Whole Grain Oats and Fruit & Nuts pouch into a mug, brew, stir, and enjoy! 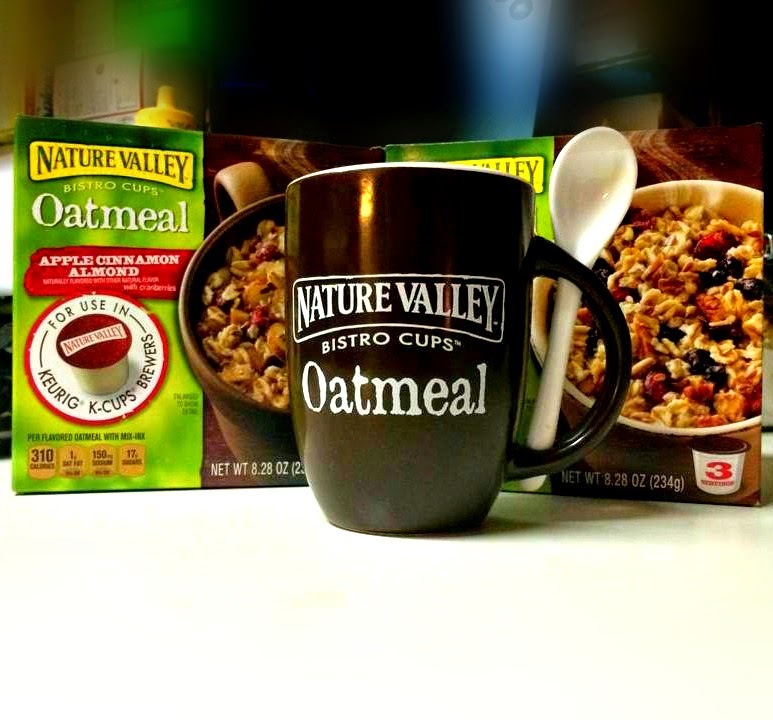 Find Nature Valley Bistro cups in the hot cereal aisle at Target. 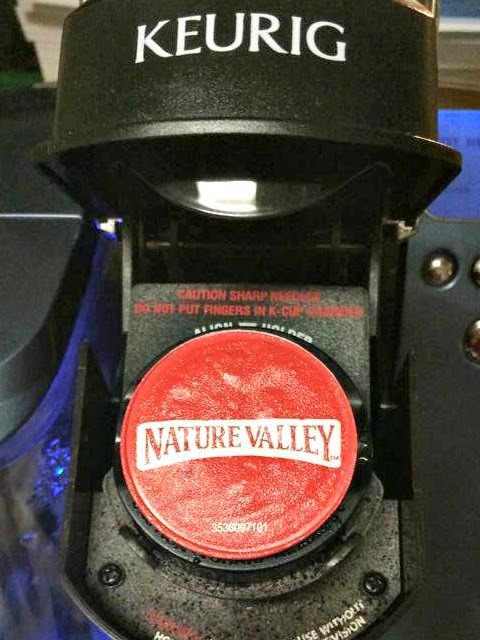 *Nature Valley Bistro Cups Oatmeal or A Time For Seasons is not affiliated with Keurig, Inc. KEURIG and K-CUP are registered trademarks of Keurig, Inc.